This 1969 O-Pee-Chee Deckle card comes from a 24 card set issued in Canada. Cards are slightly smaller than the Topps version but feature the same Deckle Cut borders. 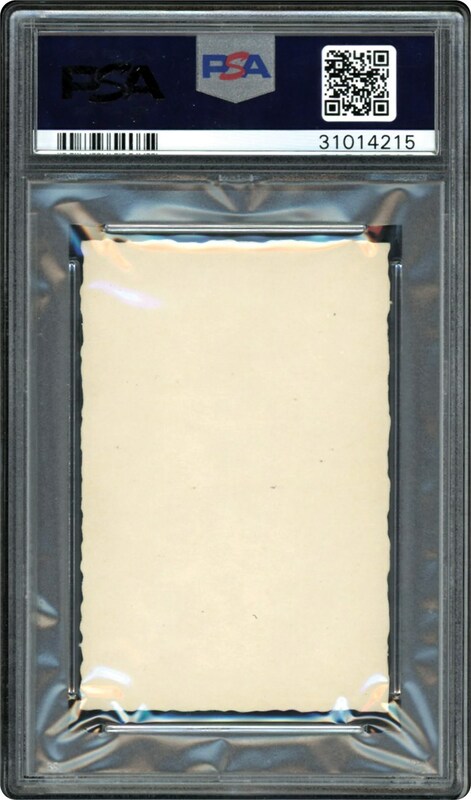 Also, the cards are blank backed with a black ink facsimile auto. 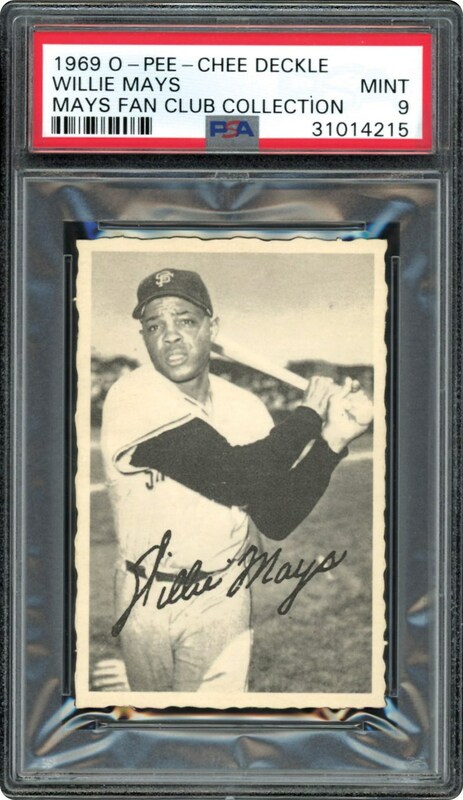 This Willie Mays card is top of the pops in a PSA 9 MINT example.